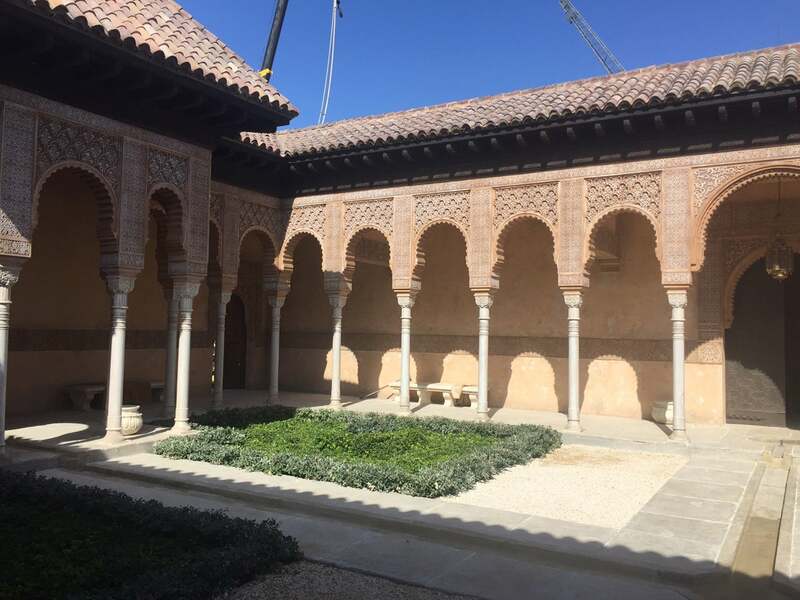 In a conversation with The Location Guide, Joseph Formosa Randon, the location manager for the Assassin's Creed film in Malta, shared some secrets and also revealed two new official pictures of the set. Of course, they're literally just the set, so don't expect to see Michael Fassbender or Marion Cotillard here, but it gives you an idea of the look and feel they're going for with the film. Randon said that originally they were scouting "modern day stuff too - car chases, etc. - but this was dropped" from the Malta shoot. All the locations, three of which were ancient and medieval Forts, "were for period pieces," he said. They transformed Valletta, the capital of Malta, into "15th Century Seville," closing down streets and using "very sensitive locations within Valletta: the Grand master's Palace, the National Library, and St. Dominic Church." The Forts were heavily featured, too. 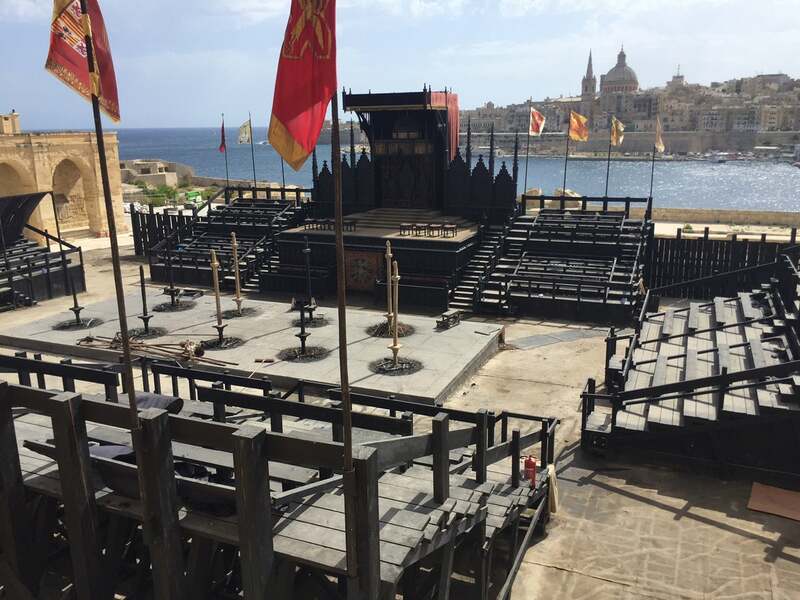 "Fort Delimara was for a chase sequence through underground Tunnels and Fort Ricasoli and Fort Manoel provided the back drop to some spectacular set builds." 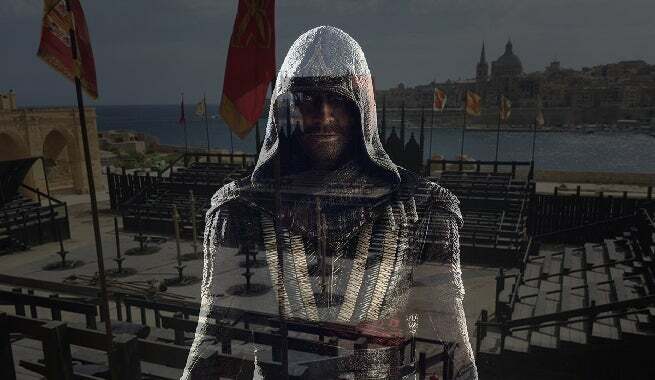 Assassin's Creed stars Michael Fassbender as a new assassin (as in not one from the existing video game, comic book, and novel franchise), Aguilar, while he also plays his own descendant in the modern day (but apparently not while in Malta). Justin Kurzel directs the film, shooting now for a December 21, 2016 release.